September | 2011 | eating with S.O.L.E. My little green house is pumping out plump tomatoes, a couple handfuls a day.. most of which are chilling in the freezer, but these heirloom beauties were destine for a deep rich veggatarian ragu. 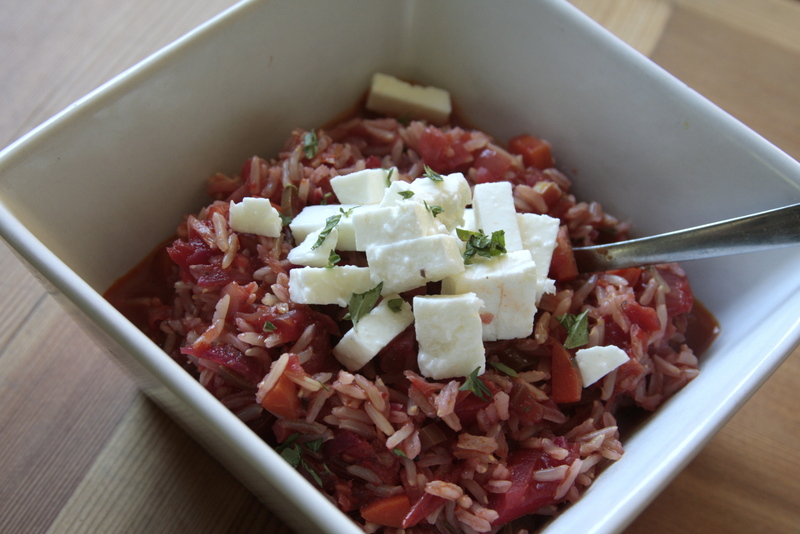 This sauce is super versatile, I made a big pan full and had some on left over rice for lunch today dressed with fresh goat feta and oregano, the rest of the sauce (about a pint) will cozy in a jar and wait for a bed of pasta noodles this weekend. In the event you too have a picky eater around, a thick tomato sauce is a great way to hid teeny tiny little veggie bits 😉 This ragu has 9 different veggies in it, I even slipped beet into this recipe, which I find adds a nice sweetness that works well with the mild acidity of the fresh tomatoes. I know a ragu is traditionally a meat based sauce… but seeing as this thick tomatoes sauce has a stick to your rib-nes to it.. I’m calling it a ragu! season with S+P, chili flakes, bay leaf, fresh minced herbs; oregano, thyme & basil. 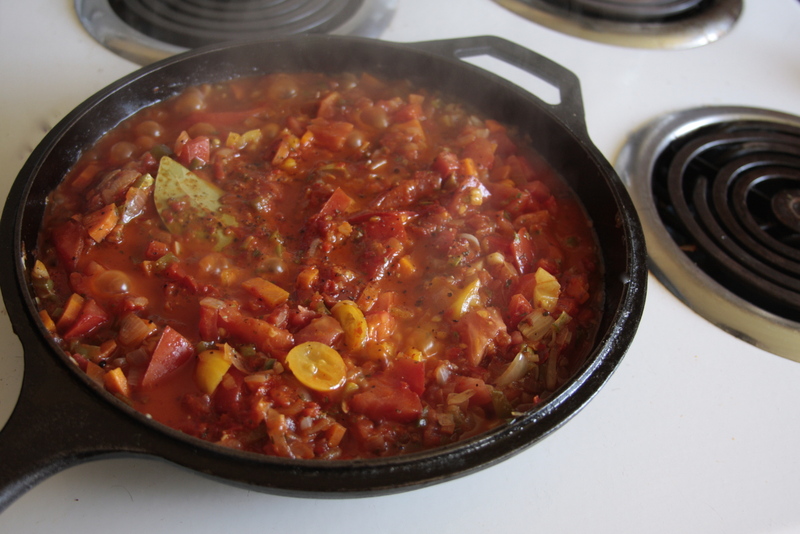 Once all these veggies start to get good and brown add in about 6 cups of diced tomatoes. I used an assortment of 6 varieties of heirloom tomatoes. Allow everything to simmer away for as long as you have to wait (adding extra hot water and season as needed) 1 hour is plenty but 3 is ideal! If you have less time to cook it down or if you prefer a smoother sauce, you can zip it up with an immersion blender, me I like some tomato chunks. That’s is.. simple garden harvest ragu, ready to smother anything you want to cover in deliciousness! After almost a week away from home (and man is it good to be home and get back into the garden for harvesting today) I was looking for a comforting flavor for dinner and found myself inspired by the way my mom used to fry up a fresh zucchini bits in butter with parmigiana cheese… this was always a favorite of mine growing up, and I had hoped that my daughter (who HATES zucchini) would fall in love if I drown it in butter and decked it out with cave aged grana padano cheese. 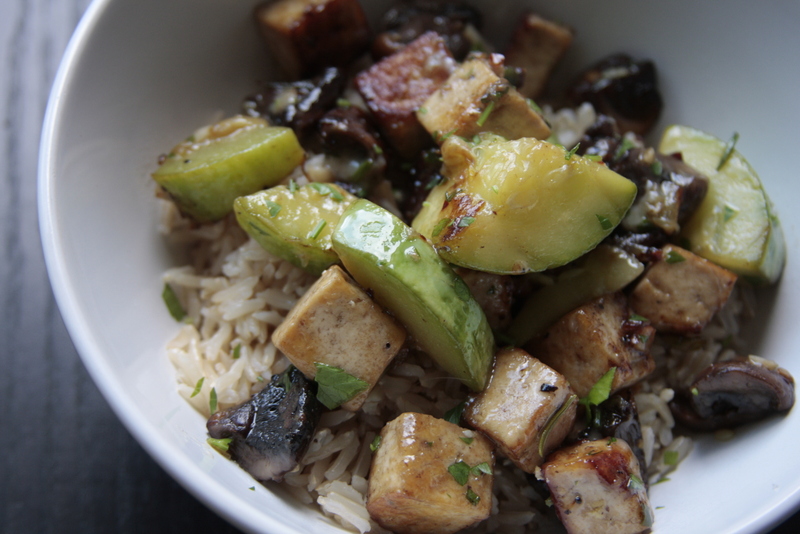 Zucchini surrounded in golden browned tofu and mushrooms, who could resist? 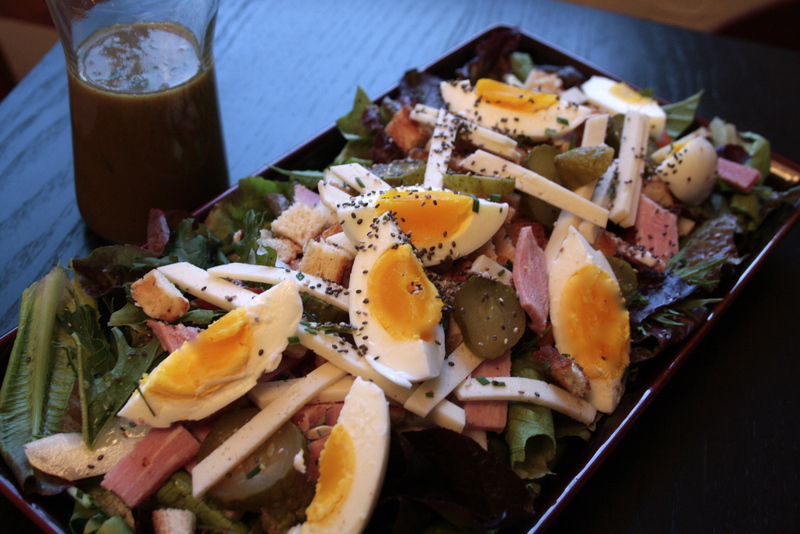 Appanently her … She ate everything except the zuc’s, but the mister + I really enjoyed this combination of flavors. I served this over brown basmati rice, and it made for a good use of fridge treasures (crimini’s) and garden overrun (zucchini’s)! get these frying for 5-7 minutes before adding 1/2 of a medium zucchini quartered and sliced, along with another 2 tbsp of butter. Don’t over toss, but slowly allow the faces of the veggies to brown. Once everything looks lovely and golden on most sides add between 1/2-1 cup of grated grana padano cheese (or parm) season with a few more fresh herbs and toss. Serve hot, and enjoy. perfect atop a divine locavore chef salad..
and finely diced fresh herbs: chives, oregano, and thyme. shake shake shake, and drizzle! Tonight’s dinner was a tribute to the garden abundance, after a quick little tour I chopped up a collage of goodies that were just waiting to be turned into a sweet and savoury quinoa pilaff, flavoured with a silky mustard maple and miso sauce and laced with garden fresh herbs. 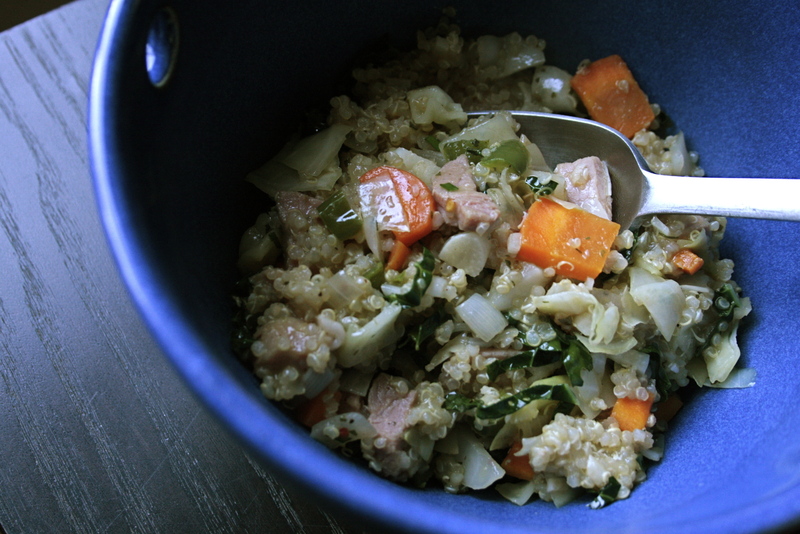 You could use any and all veggies you have on hand for this.. I also threw in some smoked ham we had left over after a nice dinner with our visiting grandparents. Something really wonderful happens when you mix maple syrup with mustard, it’s a combination I turn to often, especially on the rare occasions when I happen to have pork on hand. I know all you vegans and veggies out their are turning your noses up at my piggy addition (albeit a happy local organic & delicious one)… I will say this would be excellent with tempeh or tofu.. or maybe just a handful of almonds! mix well with 1.5 cups boiling water. 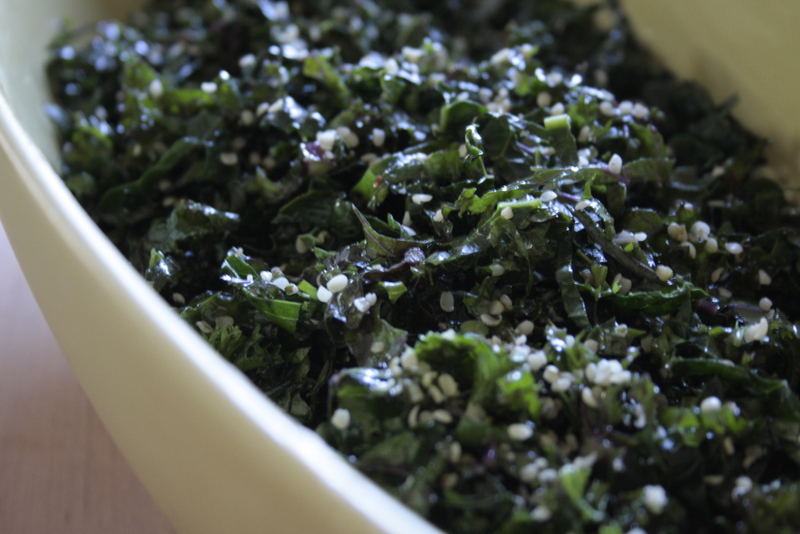 Once all the veggies are brown and your quinoa is cooked, add 3 diced kale leaves along with the maple miso sauce to the pan then add quinoa and stir gently. 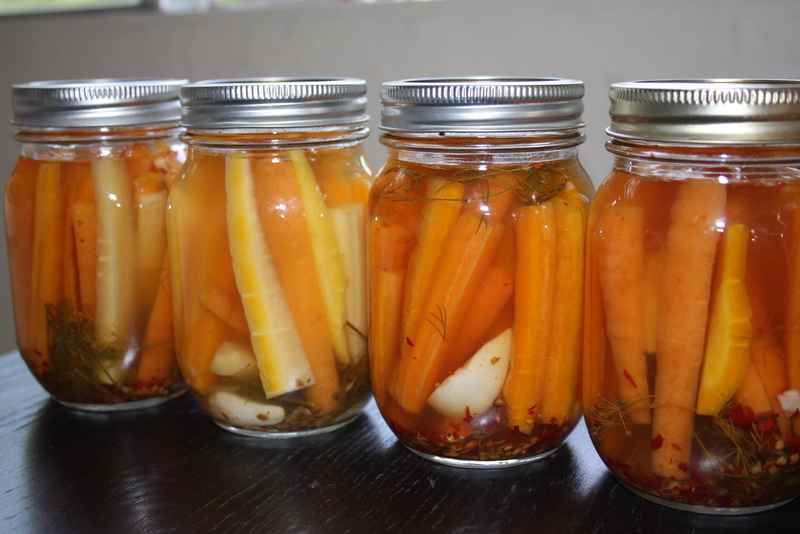 The perfect winter pick me up for a crisp taste from the garden has got to be pickled carrots! These have always been my favourite preserved treat, and we are almost out of last years batch, so I restocked the cubbards yesterday. I didn’t weigh the carrots I used , but essentially I used 6 small bundles so maybe 40 medium carrots total. Sterilize jars, lids and rings in boiling water, then you can keep the jars hot and clean in your oven set to 225 while you prep everything else. It’s really important to have a open clean work area for canning, and it’s great to have everything you need ready to go. Slice carrots into sticks that work with the size of mason jars you have, allowing for the tops to sit 1/2″ below the last jar thread. then pour hot brine into each jar to bring the fluid up so that everything sits 1/4″ below the last jar thread. We had a great garlic-y weekend, as we took in the Hills Garlic Festival again this year, and stocked up and indulged in many garlic laden foods. We came home with 1/2 a wheel of Kootenay Alpine Cave aged cheese and a few lbs of yugo garlic, which I plan to grow this next year… our Sunday night dinner was a homage to garlic, grana padano cheese and gnocchi (my favourite cheese sauce vehicle). This dish was ridiculously rich and needs a HUGE bright green salad and even a side of veggies to go with it.. essentially it is a vegetarian carbonara, and it’s not for the faint of heart. 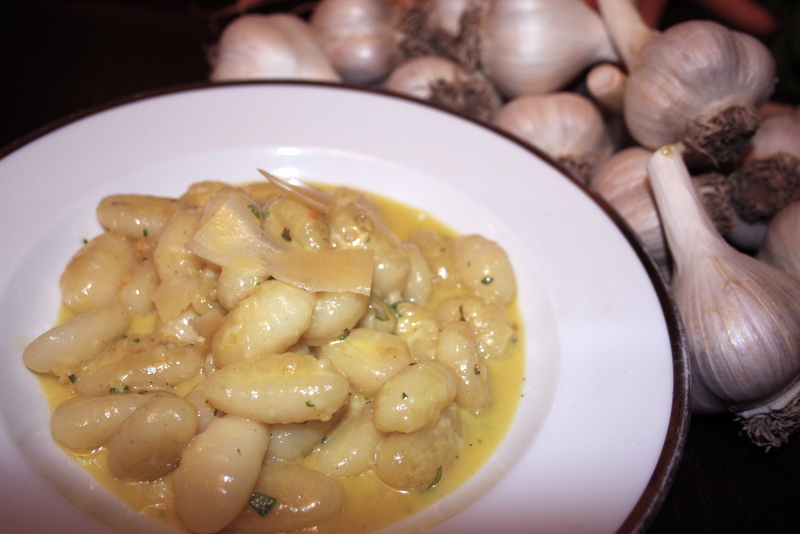 I used rice gnocchi so the dish was wheat and gluten free…. but I can’t promise it’s without guilt! start by boiling (unsalted) water to cook gnocchi’s in. once the gnocchi’s start to rise to the top, strain them and drizzle with olive oil (so they won’t stick together) then add them to the garlic pan and allow them to gently ever so lightly brown. 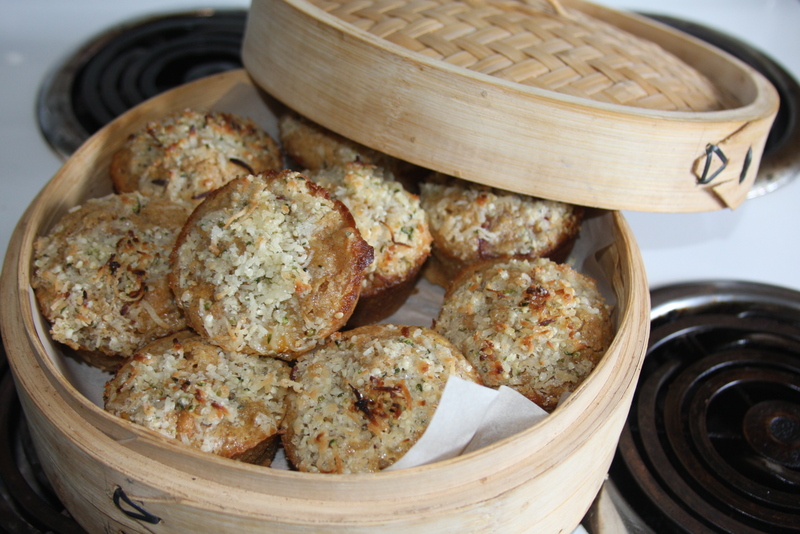 Don’t move them around too much as they are delicate, and you want to achieve a light golden crust. Once the gnocchi’s are perfect (you could totally eat them just like this and you would be in heaven) remove from pan and pour into a large bowl, toss with the egg / cheese / cream mix and season with black pepper (not salt as the cheese should be salty enough) and gingerly stir togeher until combined and smooth, and coated with a silky creamy coating. serve and enjoy, and enjoy and enjoy! and I don’t say that lightly. This is truly an amazing thing to do with apricots, maybe the only thing one ought to do with apricots, booze em up drown them in honey and spread them on toast! de-vine. Last week my sister in law arrived with a monster box of freshly picked organic apricots in tow, so we promptly halved and pitted them, and popped them into the freezer, knowing they were jam bound, and we had a lot of other garden harvesting to take care of first. She ended up leaving before we could get around to this jam so I threw it down the other night when I realized I had 7 wild sockeye salmons coming in from the coast and had to make some serious room in the freezer. This freezer binge also prompted me to FINALLY cook up the 18 lbs of grapes I had from last years harvest into a wicked grape jelly, as my vines are again heavy with fruit this season. Now that this amazing apricot jam is made I am going to have a hard time shipping off half of this batch to my sis, and I may need to hide my half in the pantry so my family forgets about it. I am totally hooked on Pamons pectin, it is ultra low sugar and it yields ultra solid results, if you can’t find Pamonas at a natural food store and you have to use traditional pectin, you will have to increase the honey content dramatically, consult the directions of the pectin you choose. And be sure your always super squeeky clean and precise when jamm’in so you keep all your loved ones safe. In a heavy bottom deep sauce pan, cook down apricots with about 1 cup of water for about 8 minutes, until soft and mashed. 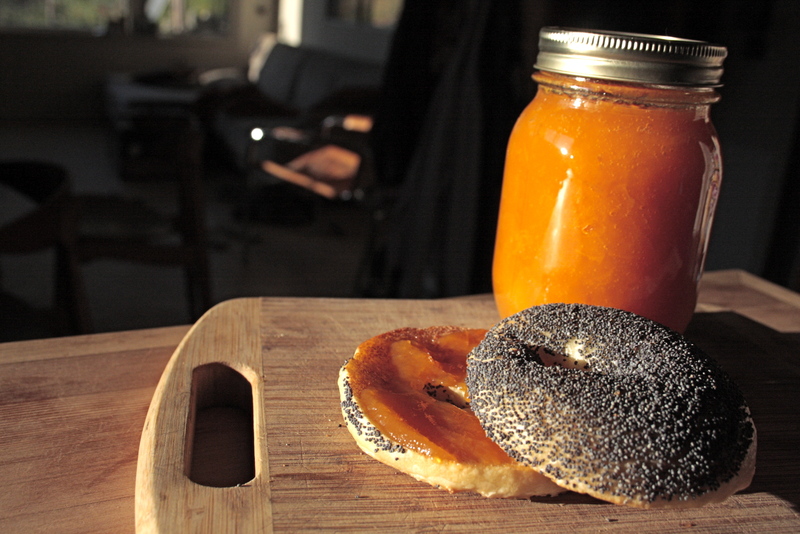 Portion jam neatly into sterilized and prepared jars, leaving 1/4″ space in jar. *** Immediately after finishing the processing of this batch, I remembered I have a good stock of whole organic vanilla beans.. if I were to make this again (or should I say when I make this again) I will most certainly add a vanilla bean to the fruit and cook it down with the works, so if you have one… add it. 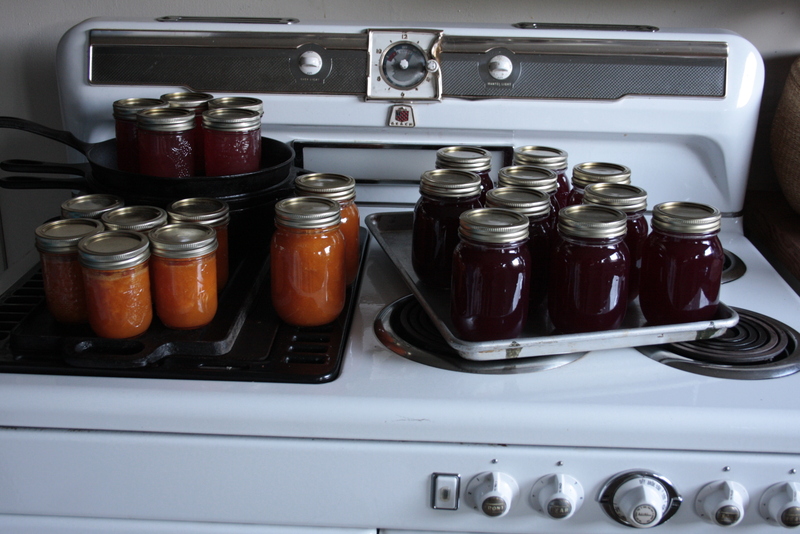 This was a big jam day … and tomorrow I’ll be vacu-sealin salmon and blanched heritage beans for the freezer, followed by some pickling of dilly beans. 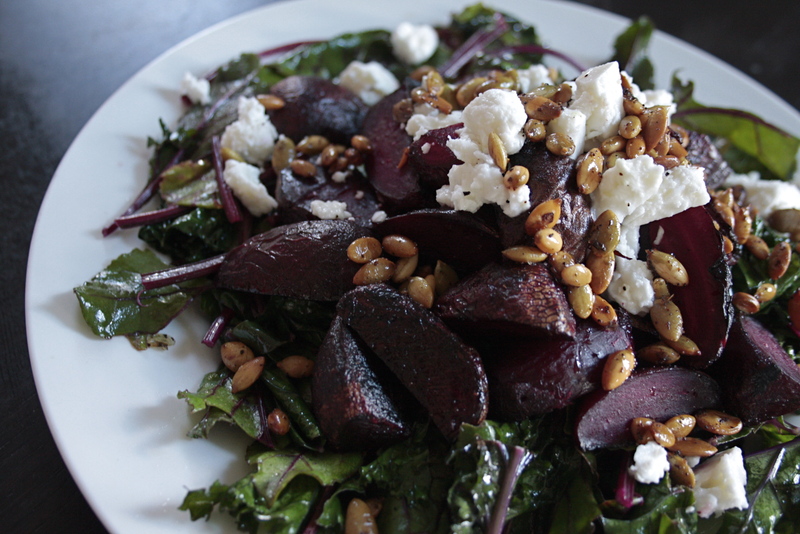 Nothing beats beets fresh from the earth, except fresh beets from the earth oven roasted and served on bed of wilted lemon garlic beets greens, kale and chard, topped with fresh goat feta and toasted pumpkin seeds, drizzled with hemp oil and kissed with maple syrup. * have I got your attention yet? This all sounds like a lot of effort, but the dish comes together remarkably quickly and makes for a hearty weekday meal, or a stunning side. I am sure I have confessed this before but I should reiterate that beets are fairly new to my culinary world, and after a pink pee back as a child I avoided them like the plague. Three years ago I was on a wine tour in the Okanagan valley and was served a warm beet and goat cheese salad perfectly paired with a crisp glass of Quale’s Gate Riesling, and after that there was no looking back… I adored beets.. and the pink pee well now it’s just a reminder of my how I enjoyed my newest favorite veg. a drizzle of hemp oil & olive oil, sea salt, pepper and a sprinkle of garlic granules.